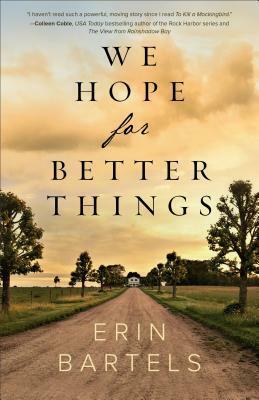 We Hope for Better Things is a time-slip tale of three women and the unexpected lives they led. Richly drawn characters populate the story, and I enjoyed delving deeper into their emotional journeys. Shifting from past to present, history comes to life as does the heartache of previous generations. Erin Bartels has penned a moving and memorable debut novel, and I look forward to reading her future works. When Detroit Free Press reporter Elizabeth Balsam meets James Rich, his strange request–that she look up a relative she didn’t know she had in order to deliver an old camera and a box of photos–seems like it isn’t worth her time. But when she loses her job after a botched investigation, she suddenly finds herself with nothing but time. At her great-aunt’s 150-year-old farmhouse, Elizabeth uncovers a series of mysterious items, locked doors, and hidden graves. As she searches for answers to the riddles around her, the remarkable stories of two women who lived in this very house emerge as testaments to love, resilience, and courage in the face of war, racism, and misunderstanding. And as Elizabeth soon discovers, the past is never as past as we might like to think. Learn more about the book and the author. 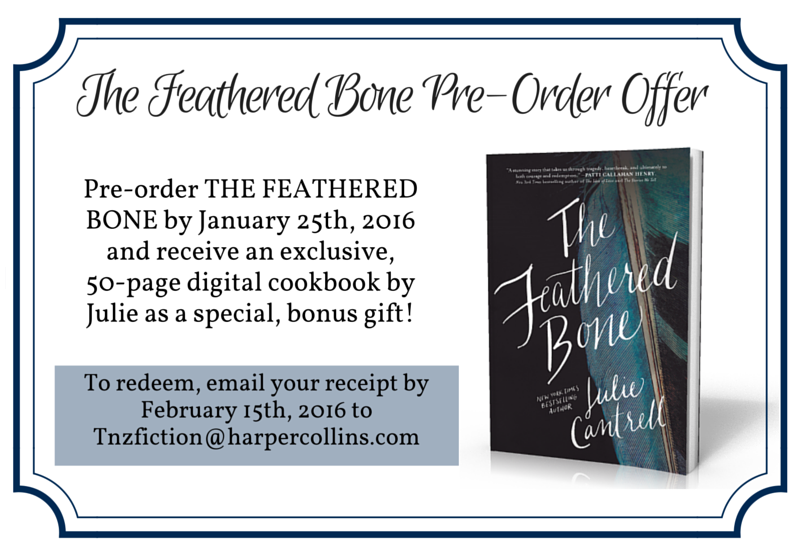 Pre-order THE FEATHERED BONE from any bookseller by Monday, January 25, and receive a 50-page collection of family recipes, plus behind-the-scenes stories about Julie’s Louisiana childhood. Email your receipt to tnzfiction@harpercollins.com and they’ll email you a digital pdf file of this special cookbook.